As I’ve noted before, I try to avoid e-mails that fall into the category of “Can you answer these questions for my school report.” I’m not in school any more, and despite that, I seem to have plenty of my own homework to do. Hello my name is Julio. I’m a high school student. We have an assignment on interviewing a comic writer. I chose you because you’re very talented and we are reading your comic MARVELS. It’s very good. by the way. They’re actually reading MARVELS? For class? Well, okay, I guess since I haven’t done this in a year and a half, I can do another one. But I’m answering here on the blog, so anyone else who’s interested can read it. 1. What is the work that you are planning on or that you are working on? At the moment, what I’m working on is ASTRO CITY, the series I do with Brent Anderson and Alex Ross, and KIRBY: GENESIS, which I’m doing with Jackson Herbert and (again) Alex Ross. On top of those two, I also have a series called BATMAN: CREATURE OF THE NIGHT to write, a novel featuring ARROWSMITH, a character I co-created with Carlos Pacheco, and a new series called THE WITCHLANDS. 2. What was your first work? My first professional comics work was a 7-page “Tales of the Green Lantern Corps” story that appeared in GREEN LANTERN #162, back in 1982. That same day, POWER MAN & IRON FIST #90, which I also wrote, came out as well, but I didn’t actually write that story until about a month after the Green Lantern story, so I count GREEN LANTERN #162 as my first. In comics? It was probably when the first reviews and reader reactions started coming in for ASTRO CITY #1. 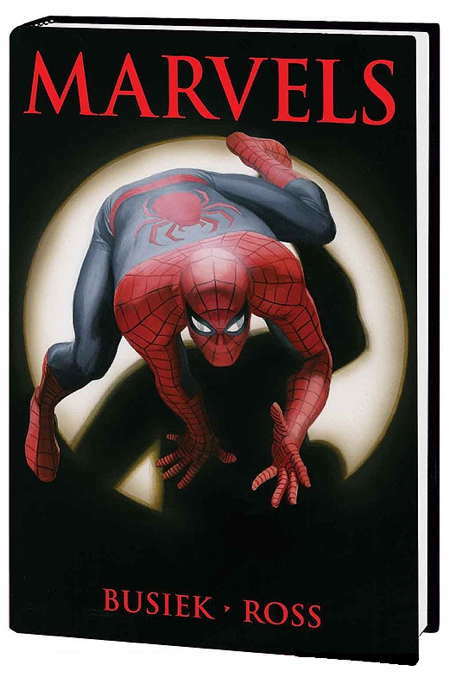 Alex Ross and I had won a lot of awards and gotten great reaction for MARVELS, but getting that same kind of response to something that I’d created from scratch (with the help of Brent, Alex and others, but not any pre-existing characters or publisher’s universe) was a real thrill, and really made us feel like we’d accomplished something worthwhile. 4. What is the most challenging aspect of working in comics? For me, it’s the deadlines. Comics are usually monthly, so if you’re writing a series, you need to write a new issue every month, month after month, for as long as it lasts. If you’re writing more than one series, that just means more deadlines. It can be exhausting—writing one good script is a lot of work, but doing it time after time after time requires a lot of stamina. I used to be able to write a script a week, but the longer I do this, the harder it gets to maintain that kind of speed. 5. What is the most rewarding aspect of working in comics? It’s hard to say which is better: Getting to collaborate with talented artists, letterers, colorists and editors, so you’re all working together to make a comics story that’s the best it can be—or get to reach a large audience of readers, who want you to tell them a story in the first place. The idea that an audience is out there that wants to read what I write is what keeps me doing it, both because telling stories to people is why I write in the first place, and because it’s the fact that those readers buy the comics that allows me to keep writing them. 6. What does it feel on having an amazing gift such as writing? It doesn’t feel like a “gift,” it feels like a skill. Something I learned by practicing it and getting better at it over time, just like someone who practices piano, or practices at playing baseball, will get better and better. It can be a lot of work, but it’s worth the effort. 7. How was it like working with Ross on MARVELS? Alex is one of the most thoughtful and dedicated artists I’ve ever worked with. Doing MARVELS with him was a lot of fun, because we both put a lot of thought into how best to tell the story, and we each had a lot of input into what the other guy did. He had suggestions and ideas on the story, and I had suggestions and ideas on the art. We’d go back and forth, talking over even the smallest details — sometimes we’d be on the phone for hours, talking about stuff that most readers would never notice. But even if a reader doesn’t consciously notice it, it made the story better, and helped us make the stuff the readers did notice all the more real and effective. I still work with Alex, on ASTRO CITY covers, and on the KIRBY: GENESIS series, and it’s still a rewarding and enjoyable experience, because of the attention and thought Alex puts into what he does. 8. Do you have new ideas? Tons of them. I have more ideas than I could use up in a lifetime—and I come up with new ones all the time! The better you get at writing, the more easily ideas come, I think. It’s one of the best parts of the job, coming up with new things, new stories and new ways to tell them. This entry was posted in Interviews and tagged marvels by Kurt Busiek. Bookmark the permalink.